Since March the 6th is World Lymphoedema Day, I thought I’d celebrate by sharing with you the top 10 benefits of having lymphoedema. Yes, it’s a different sort of list, but it’s our ‘day’, so we may as well bring our party attitude. Because I have lymphoedema, I get to meet new people all the time. Sure, they may be nosy shop assistants or random strangers asking ‘what have you done to yourself?’ but not a day goes by when I don’t get to speak to a fellow human being. It’s great if you want to practise any social skills like restraint, biting your tongue and giving people the benefit of the doubt. Usually, I’m the voice for a change… in temperature. Sometimes it’s a simple as saying ‘Could we please turn up the air conditioning?’ or sometimes it’s more complex, like orchestrating a shift in large groups of people, to get me to the chair near the door/fan/open window. In the area where I live, there are no publicly funded lymphoedema services. None at all. So if you don’t have the means to pay for treatment, you don’t get any treatment. And this isn’t unique to my area. We need to get out there and be lobbyists, activists and representatives. Excellent skill development. Don’t you love the end of the day when you can rip off the compression garment and feel the cool air on your affected limb? Haven’t you noticed how soft and smooth your skin is? It’s definitely worth the thousands of dollars you pay each year in compression garments. And it comes with a bonus feature of SPF 100+ so you’re sun safe too. Everyone’s seen sportspeople on TV but no one’s ever seem someone with lymphoedema on TV, so how are they to know the difference? Use it to your advantage and lie through your teeth. Next time someone you don’t know asks what the compression garment is for, look them straight in the eye and tell them you’re an athlete. Not everyone looks like Serena Williams; you could be a medallist for curling for all they know, so say it and own it. Your concerns are legitimate and you can act on them. It IS bloody hot in that and even more so when it IS bloody hot. You deserve to get the seat next to the aircon, skip the queue for gelato or doing anything else that’s going to get you cold stuff in hot weather. In other words, whinge if you want to. You’re justified. You’d have to be pretty thick skinned – no offence – to not be bothered by the constant comments. If some idiot wants to say something that confirms their idiot-status, then feel free to recount the conversation endlessly. Embrace the outrage. It’s impossible to educate every man and his dog about your condition, and you certainly don’t want to waste your breath on someone who was really only ‘making conversation’. Or make the pool your resource. Better still, if you have flexible working arrangements, ask your manager if you can work poolside. Swimming has enormous therapeutical benefits for lymphoedema. Not only is it exercise, but it’s cooling and the gentle pressure of the water mirrors the gentle pressure of a lymphatic drainage massage. What? You’re having trouble fitting in a regular swim with your other medical appointments, your self-care routines, and your work and family commitments? Well, maybe that’s your own fault for not having a pool at home. And here it is [drumroll please], the top of the list, the ultimate advantage to having lymphoedema. No sarcasm here. 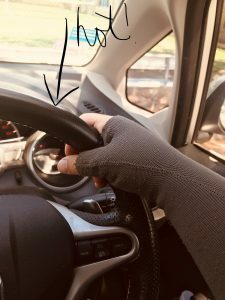 When everyone else is playing ‘hot potato’ with their steering wheel in this hot, hot weather, a little tug of my compression sleeve and I’m cruising like a boss. Yvonne was asked by SBS news to comment on a new study that looks into whether chemo is necessary for all early-stage breast cancer patients. 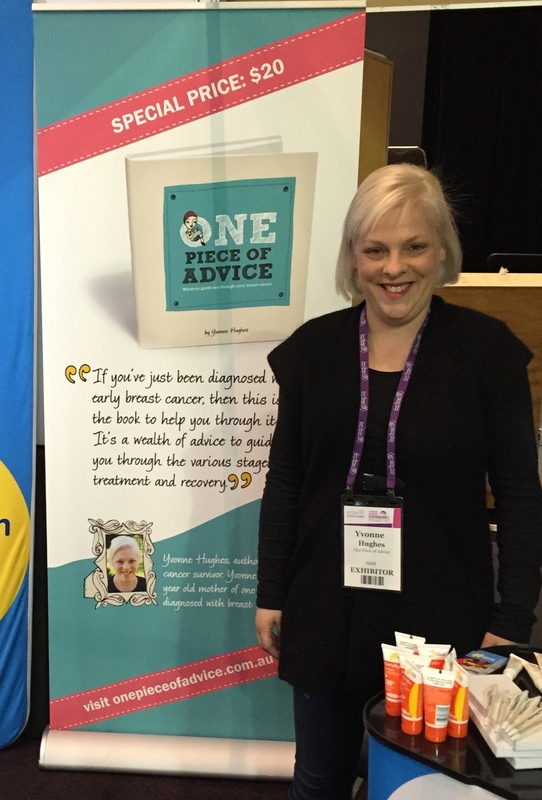 Have you seen One Piece of Advice on facebook or twitter (@onepieceadvice)? Follow us for extra advice, suggestions and the odd lymphoedema rant. Reward yourself for getting through October with 50% off One Piece of Advice. Enter code ‘Oct16’ at checkout. 192.168.0.1 IP Admin: Get guide on how to configure Wireless Router settings using 192.168.o.l & how to know default IP address of Router. IP address 192.168.0.1 Admin is the management ip address of some wireless router,it is the default ip address for all kinds of TP-link,D-Link and Netgear models. Every May and June, Cancer Council runs its Australia’s Biggest Morning Tea campaign. This year, my friends and I raised more than $16k… but we want to raise more. So, until the end of June, I will donate 50% from One Piece of Advice sales to our fundraising total. Just type the code ABMT at checkout. So there you go, morning tea can make a difference! I had a fantastic time at the CNSA Winter Congress. I met so many wonderful nurses, including some very special breast care nurses. I was also thrilled to be in the exhibition area talking about One Piece of Advice. Huge thanks to CNSA, Cancer Council WA, Chilli Fox Events and Fabricated, for the beautiful banner. Here’s an article I wrote for news.com.au on why I’m both angry and sad at this very shocking situation. When we first unveiled Windows 10 in September, we outlined our plans for a new era of Windows. Windows 10 Activation Keys delivers a host of new technology that makes interacting with your PC more natural than ever. And it just keeps getting better. If you want to buy a few copies of One Piece of Advice, postage will be cheaper than the fixed per-book price. Email orders@onepieceofadvice.com.au with your requirements.